In this demo, we will see How To Use Sass In Angular 7 Tutorial Example. When working with the Angular CLI, the default stylesheets have the .css extension. We are using Angular CLI 7. So, if you have not used previously, then please upgrade your CLI version. You can find instructions about updating your Angular CLI here. We will use Bootstrap 4 Framework for this demo and see how we can configure the Sass in our Angular Application. If you want to learn more about Angular, then check out this Angular 7 – The complete Guide course. 4 Step 3: Add new scss styles. First, check the version of your Angular CLI by this command. Type the following to create a new Angular project. You will see some prompts like this while creating a new project. We can see that we have asked that if we want to use the Sass styles for our project or not. 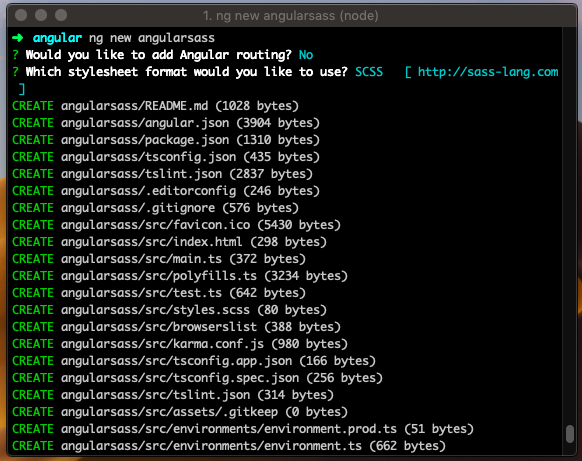 I have chosen Angular Routing to No and chosen Sass for styles. Now our project’s styles are changed to Sass. You can see the files inside the src folder that we have styles.scss file and inside the app folder, we have app.component.scss file. The next thing is that we need to include the Bootstrap 4 in our project. Now, install the bootstrap-sass library which is the SASS version of Bootstrap. Okay, next step to import that file inside the src >> styles.scss file. So let us do that. So, here we have included the bootstrap.scss file for our project. Save the file and start the angular development server. You can see that we have successfully integrated the Bootstrap sass library in our project. Now, we can add more scss files to it and compile it to css and use it in our project. Step 3: Add new scss styles. First, let us create a navbar inside our project. So write the following code inside the app.component.html file. We have used the Simple Bootstrap Navbar. But now we need to change some styles of the navbar. So we will write the scss code to change those styles. Save the file and see the navbar on the browser. Let us create some new classes inside the app.component.scss file. We will add the pseudo-classes to the navbar component. Here, we have defined the color variable. You can create a separate file like _variables.scss file but for now, stick with this code. If some of the colors are being repeated that we can define the variable and then define above and use that variable whenever we needed. Now, add the new classes inside the app.component.html file. Save the file and now hover the button, links inside the browser you can see that the brown color is applied to our styles. So that is how you can include the SCSS in our project. 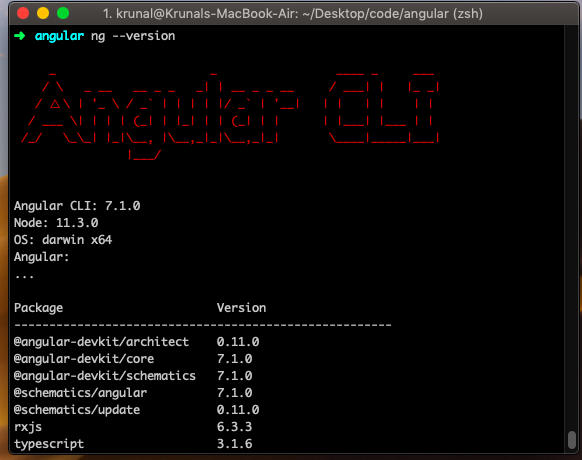 If you have Angular CLI below version 7, then you need to create a new Angular project like this. After installing it, we need to add the Bootstrap SASS main file (i.e., where all the styles such as variables, mixins, forms, buttons, tables, etc. are imported) to the styles.scss file, which has been automatically generated when you created the project. So this is how you will integrate the Sass in Angular 5 or Angular 6. Finally, How To Use Sass In Angular 7 Tutorial Example is over. Thanks for taking.